2 Is Linux Taking Over The World? 26 Linux Is Everywhere – but is it Linux? This material is for interest only. It will not be tested. The fact is that most people today are using Linux without ever knowing it – whether on their phones, online when using Google, Facebook, Twitter, GPS devices, and maybe even in their cars, or when using cloud storage for personal or business use. 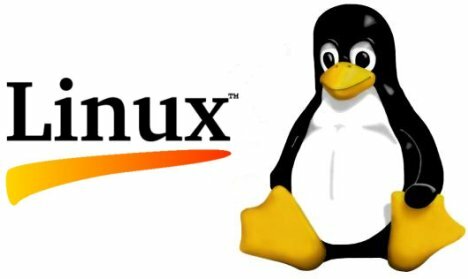 While the presence of Linux on all of these systems may go largely unnoticed by consumers, the role that Linux plays in this market is a sign of how critical it has become. Most IoT and embedded devices – those small, limited functionality devices that require good security and a small footprint and fill so many niches in our technology-driven lives – run some variety of Linux, and this isn’t likely to change. Instead, we’ll just be seeing more devices and a continued reliance on open source to drive them. Three years ago, Mark Russinovich, CTO of Azure, Microsoft’s cloud program, said, “One in four [Azure] instances are Linux.” Then, in 2017, it was 40 percent Azure virtual machines (VM) were Linux. Today, Scott Guthrie, Microsoft’s executive vice president of the cloud and enterprise group, said in an interview, “Slightly over half of Azure VMs are Linux. That’s right. Microsoft’s prize cloud, Linux, not Windows Server, is now the most popular operating system. Windows Server isn’t going to be making a come back. Every month, Linux goes up,” Guthrie said. And it’s not just Azure users who are turning to Linux. “Native Azure services are often running on Linux,” Guthrie added. “Microsoft is building more of these services. For example, Azure’s Software Defined Network (SDN) is based on Linux.” It’s not just on Azure that Microsoft is embracing Linux. “Look at our simultaneous release of SQL Server on Linux. All of our projects now run on Linux,” Guthrie said. Are You The Unix SysAdmin We’re Looking For? C:\> wmic qfe | find "KB4012212"
Learn to use a command line; it’s how things get done, even in Windows. Do you think you need Linux skills for this job? Alas, I don’t expect things to change from their current course. If anything the future looks to be full of more abstractions, more pointless UI rewrites, more frameworks that break backwards compatibility, and more cancer-like growth. Which is why Vim is so important. At least our text editors will still be there, stalwart unchanging places to reliably weather the storm. Thanks, Vim, I quite literally could not do what I do without you. Happy 25th birthday and here’s to another ten years before Vim 9 rolls around. The amount of work can be reduced by using some Unix command line tools. These are a part of Linux and can easily be added to Mac OS (Xcode from Apple) or Windows 10 (“Bash on Ubuntu on Windows” from Microsoft or “Cygwin Tools” from cygwin.org). These tools extend the possibilities for automation. They can also be used to increase reproducability and auditability in manual work. And they can be used to analyze SAS code to learn more about the problems that will be encountered. The tech giant lays out its plans for the future of Ubuntu and Bash on Windows 10. Microsoft has pledged that Windows 10 will eventually run the bulk of Linux software used by developers. The firm recently updated Windows 10 to let users run a range of Linux tools from inside the OS. In what appears to be an attempt by Microsoft to woo developers using Linux-based OSes and Mac OS X, the firm has said it will continue to improve Windows 10’s support for Linux command-line tools. Botnets are a group of Internet connected programs resident on various devices communicating together to perform tasks. These devices can be Web servers, personal or work computers, mobile devices or cable modems. Botnet tasks include scanning new targets, exfiltrating data, distributing malicious software (malware such as viruses, worms and keyloggers), stealing personal information or intellectual property, or attacking other targets (e.g. DDoS attacks). Most of the machines that are a part of the botnet are also victim machines. They are infected through a number of methods, including phishing emails, visiting compromised sites or installing compromised software. Command and control servers (C2s) are the brains of the operations. C2s issue instructions to infected machines to perform a task like an attack. “If you using the Linux command line at all, odds are you consider yourself a pro. Consequently, the Linux subsystem in Windows is hidden behind a”for pros only" side entrance that you can only get into if you’re running Windows 10 from the Fast Ring developer builds numbered 14316 or greater, via the Windows Insider program." “AT&T Adopts Canonical’s Ubuntu in Push to Replace Proprietary Systems with Open-Source Tech: The deal means AT&T joins Wal-Mart, Amazon.com, Netflix and others using the open-source operating system in massive cloud computing infrastructures. Traditional companies”have to" adopt modern tech used by younger competitors, to keep up …"
“Natural Resources Canada (NRCan) has re-engineered its science computing platforms and has acquired two supercomputers, including a Cray Xe6M and a high performance Linux cluster. This infrastructure services the needs of high profile scientific computing projects, including earth sciences modeling, seismic profiling, genomics, energy efficiency simulations and material science. NRCan is looking for enthusiastic students to work closely with our scientists to migrate or implement their computing projects into the new supercomputers and take our computing to the next level. True supercomputing will bring real scalability and enable scientific experiments that were previously unattainable. Developing software application code in the appropriate language to be executed on NRCan’s High Performance computers (CPU and GPU) such as Fortran, Python, C, C++ and R on Linux (CentOS 6.x+, RHEL 6.x+, Unbuntu 14.x+) and Windows Operating Systems." “First, the fact that this botnet is built on compromised Linux systems is irrelevant. It says nothing at all about Linux or Linux system security – because those systems were compromised through brute-force attacks on open SSH ports. Those attacks were successful due in large part to simple passwords and poor security used by vendors pumping out cheap broadband routers. Second, anyone who has run a Unix-based system on a public network for any length of time knows that brute-force login attempts occur constantly – and are easily thwarted. One such system I manage has drawn more than 27,000 unique brute-force attempts in the past few months. Another averages several hundred unique attempts a week. Of course, these attempts are heavily mitigated due to tools that detect and stop this kind of attack. Denyhosts and fail2ban monitor log files for persistent login attempts from unique IP addresses and block them at the network level so that they lose all access to whatever vector they were trying to compromise." In its quest to take down suspected terrorists and criminals abroad, the United States National Security Agency has adopted the practice of hacking the system administrators that oversee private computer networks, new documents reveal. Intel’s Active Management Technology (AMT) is a proprietary remote management and control system for personal computers with Intel CPUs. It is dangerous because it has full access to personal computer hardware at a very low level, and its code is secret and proprietary.